For me Summer just makes me think of Pop Punk, the second the sun shines I just wanna blast pop punk so loud it hurts. I mean yeah I do listen to pop punk all year round but the Summer just makes me wanna listen to the songs I lived for in my teens with a couple of new tracks chucked in. It's just something about the sun that makes me want to dance around my entire house no matter what I'm doing it just puts me in such a good mood, it also just makes me want to have all the BBQs. However you can't have a BBQ without some banging tunes can you? Over the years I have struggled with playing music in the garden, nothings worse than having a million cables hanging out of the kitchen window so you can plug your laptop in for spotify, or having the shuffle speakers around for it and no one wants the poor quality of your phone loud speaker. I mean wireless speakers are a thing but most of them are either teeny tiny or mega expensive and I'm not here for that I'd rather struggle with what I already have haha. However this Panasonic Waterproof Bluetooth Speaker is perfect, it's portable, have 9 hours of battery life and it's got Bluetooth. Meaning you can take this little fella out in the garden and control your music from your phone or even your PC, it's also part of the Panasonic All Connected range meaning it can be used as multi room wireless speakers! Wanna know what else is amazing about these?! They're waterproof! Yes Waterproof perfect for British Summer Time! I mean this Summer I feel we'll be lucky if we see some rain, but most years you can guarantee you're sitting outside tucking into your burgers and the heavens open and it's a mad rush to grab everything that could get water damaged and run into the house however these can withstand 1m of water so they'll be alright for a while haha. The waterproof will also be perfect for playing music in the shower, I know so many people who have water damaged phones purely from singing in the shower. 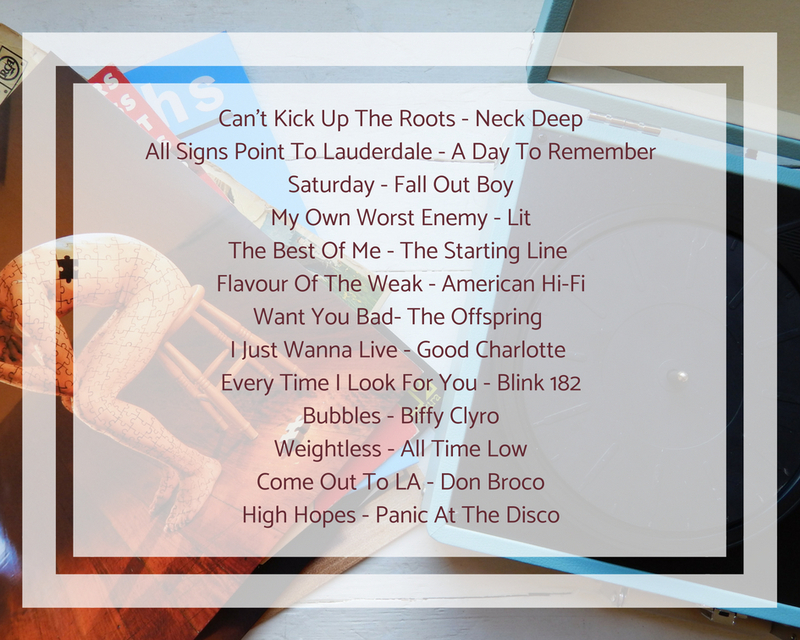 Onto that perfect Pop Punk Summer Playlist for your BBQ, for me it's mostly about the old school stuff like Blink 182, The Offspring, Good Charlotte the sound of your childhood summers, you know those songs everyone knows usually because they're on all the American Pie soundtracks or something haha. Those are always the top of my list for summer music, followed by some favourites from Fall Out Boy, A Day To Remember and Biffy Clyro. Recently though I've been really into Neck Deep, Can't Kick Up The Roots reminds me a lot of last Summer and I'm a pretty big fan of these guys now after being adamant I didn't like them haha. However the past two weeks I've had Don Broco's new album Technologies on repeat along with Panic At The Disco's Pray For The Wicked these albums are both filled with proper summer songs if you get me. Very excited for both of the tours because they're just going to be absolutely sick! I'm definitely going to have to invest in some of the Panasonic Speakers as I'm forever sick of having to carry my phone or laptop with me all around the house for music haha. What've you been listening to recently? Are there any new releases you can't wait for? *This post is a sponsored post, I have been paid to advertise and include links to Panasonic's site and their speakers, however all words and music choices are my own.